Icmeler Quad Safari tour is totally a different experience, you will be driving quad bikes through dusty and muddy roads in the countryside around icmeler. This tour is something that you will remember for long, it is specially arranged for adrenalin seekers and for those with adventurous spirit. 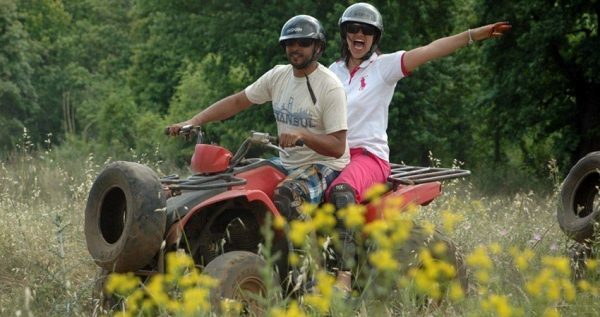 Icmeler Quad Safari begins with a short transfer from your hotel to the spot where your quad safari escapade starts. The whole tour lasts for approximately four hours from your pick up till we drop you back. The total time that you will ride your quad bike is 1 hour, which is more than enough time to experience the great adrenalin boost and have fun like never before. 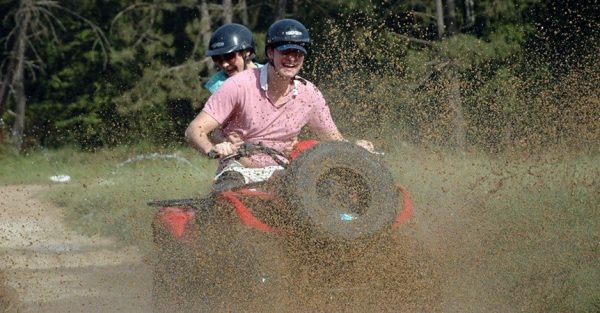 Professional quad drivers will be there for you during the trip, because your safety is our top priority, and we want you to know that you’re in the capable hands of the finest and most experienced drivers in Turkey. 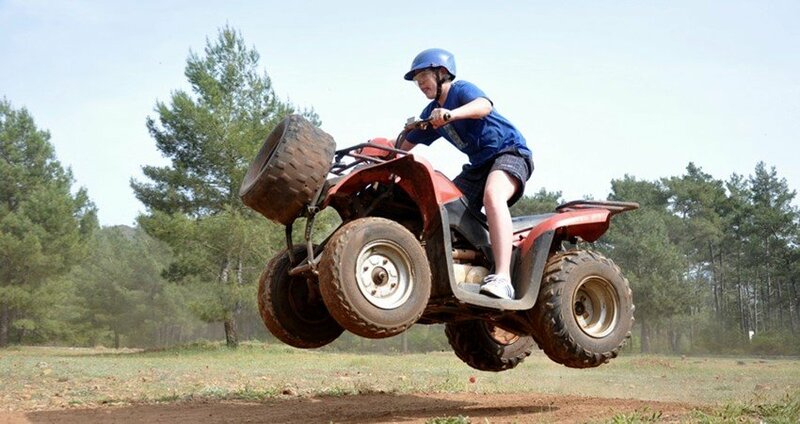 Guides and drivers will take care that you stay in marked areas arranged for quads and behave as leaders of the whole Quad Safari group. 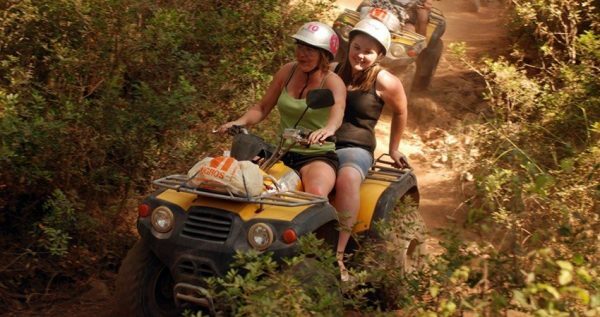 Before starting the tour, you will get all instructions and organizational tasks about Quad Safari. Everything takes place in the woods so you won’t need any license for driving quads. If you are thinking about taking photos during the ride, do not worry about it. There are organized photographers who will take photos of you and your friends during the tour. 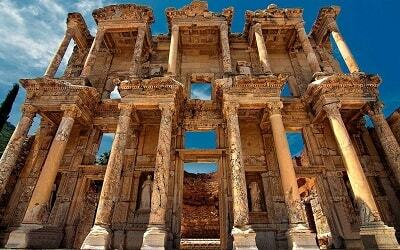 At the end you will have opportunity to buy photos as well as other souvenirs to have memories from this wonderful tour. 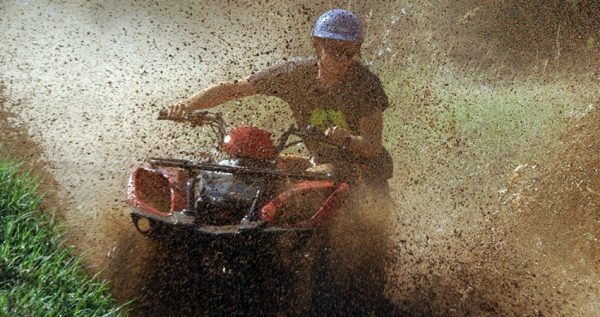 What makes the tour more exciting is a variety of different terrains you will drive your quad through. 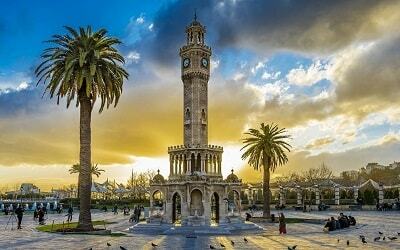 Once our exciting adventure is over, we will head back to Icmeler. Our driver will take you back to your hotel, so you can unwind and take a rest. Don’t miss this great opportunity to have an adventure of a lifetime. 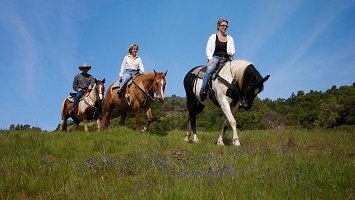 Reserve your spot on this great tour, and have a unique and fun experience by yourself, or with friends. 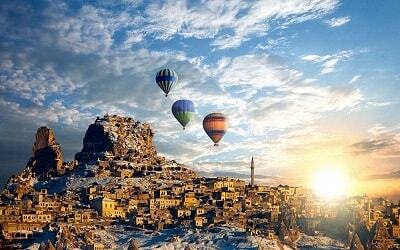 Just take your sense of adventure with you and leave the rest to us. 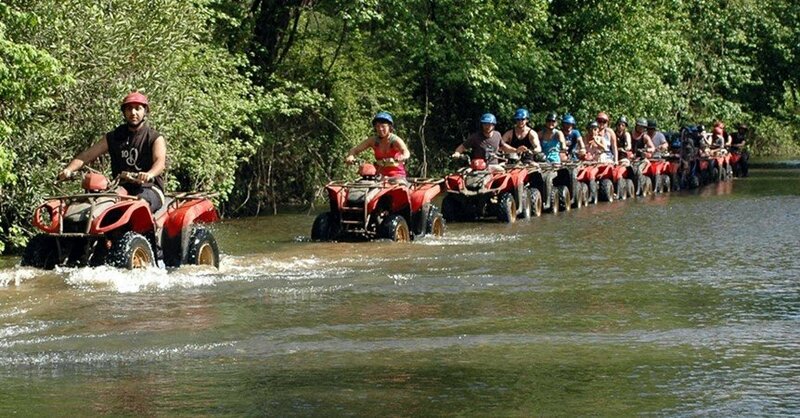 We recommend you to bring extra clothes with you as you will get dirty within this excursion. You can use showers to clean afterwards. Icmeler Quad Safari Tour is a half-day long escapade meant for the outdoorsy types and adrenaline junkies among you. This wonderful tour begins with a complementary pickup from your hotel, followed by a short and cozy drive to a secluded spot 15 km north of the city, from which our tour begins. Once we get to the site, you will be greeted by our experienced and skilled Quad instructors, who will show you some basics and necessary details about these terrific vehicles, as well as some safety rules and regulations concerning the tour. This part is required because your safety is our top concern. 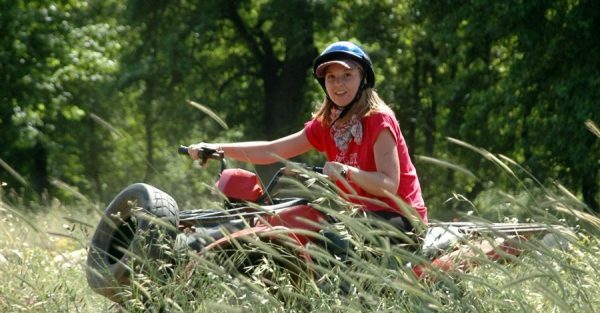 This quick briefing is followed by a demo rides, which will help you get familiar and cozy with your Quad. Quad Safari is set through the hilly and muddy landscapes on the outskirts of the city. 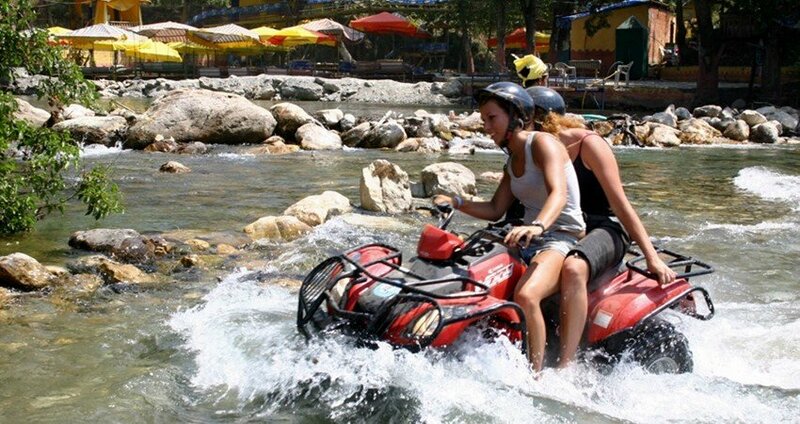 You will have some extraordinary fun speeding through riverbeds and bump between trees. If this sounds dangerous, you should know that our experienced and skillful drivers will be with you all the way, making sure that you are completely safe and satisfied. All of our vehicles are regularly maintained and well equipped. Once our thrilling escapade ends, you will be able to use the showers at the finish spot of the tour and change your clothes. After an exciting, muddy and dusty, this refreshing ending is usually a delight for our guests. 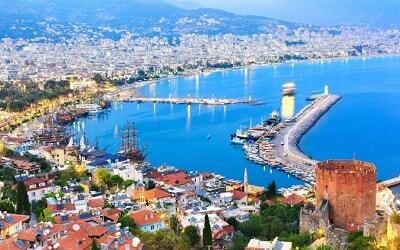 We arrange hotel transfers for all of our guests. After the tour, our driver will pick you up and drive you back to your accommodation in our cozy and well-kept vehicles. These transfers are free of extra charge, because they are already included in the tour price. 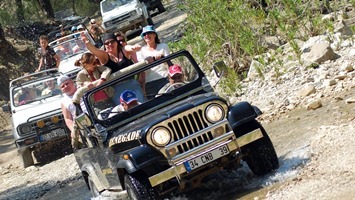 You can also enjoy our Icmeler Buggy Safari tour.